Every year, countless people suffer from food poisoning because of inadequate food handling and/or storage methods. As the catering season is moving back into high gear, many caterers are faced with hiring new staff to fill the ranks. Here are some basics to remember to share with the newbie’s (not a bad refresher for the veterans either). Food storage should always be kept below the danger zone. This typically means keeping food stored at below 39 degrees (Fahrenheit). Bacteria can multiply at an incredible rate when storage temperatures creep into the danger zone. Foods must be cooked to their appropriate temperature, typically 160 degrees or above for many foods. Store foods in airtight containers. Make sure that they are clearly marked and with dates and times of prep. When holding hot foods, the temperature should be above 145 degrees, or if not, it must be consumed with a two-hour period. If and when reheating food, it should be heated to 180 degrees for a period of time that will ensure the food has been thoroughly and safely heated. Many of our caterers tell us that providing both hot and cold (or room temperature) foods is a win-win for them and their clients. 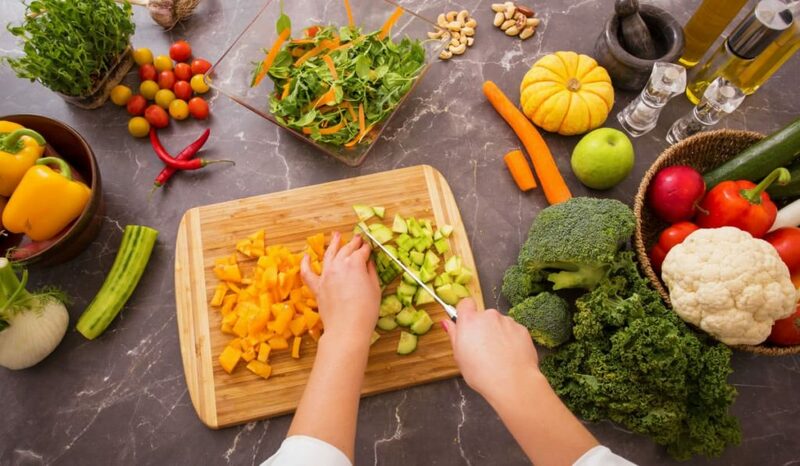 By having a mix of foods, everything does not need to be kept heated and continually stirred, not to mention the prep work that goes into having all or mostly hot foods. It is easier on the staff and many guests truly enjoy cold or room temp foods. The pros push serving cold/room temp such as hors d’oeuvres. It is one of the ways to offset having all heated foods. Many tell us that serving thinly sliced steak, roasted vegetables, and chicken (or other similar foods) can be a great way to provide yummy foods without having to stay heated. As food is becoming increasingly expensive, many pros look for ways to keep the costs down for their clients. One such way they tell us is to slice meat thinly. As many guests take more than once slice regardless if it is thick or thin, you can save them money if you slice it thin. Also, less expensive cuts of meat can be just as good if you tenderize and marinate, so kick up the flavor with this cost saving tip. Our chefs and owner/managers tell us that they mentally (and with written lists) do pre-preparation for every event. With lists for each and every person (job function) there is much less stress as items get checked off the list. They also do as much of the prep work as far in advance as possible to avoid having to scramble at the last minute. SUCCESS – when preparation meets opportunity. If you are a newer caterer or moving into new frontiers, seek the wisdom and advice of others who have already conquered these areas. Many of the trade shows offer great break-out sessions with excellent learning opportunities. In addition, there are industry associations that caterers can join where information and success stories are readily available. Of course, in the digital age, you can also find a wealth of information by querying the search term into Google, Bing, etc. There are also countless blogs that offer a plethora of information. 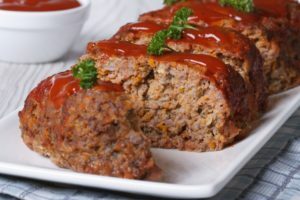 A few of our caterers have told us that meatloaf can be a big hit at catered events. Well why not? If you are a meat-eater, whose doesn’t find it to be one of the best comfort foods. Scald milk; add to breadcrumbs. Combine with meat and seasonings; mix thoroughly. Pat into 12 loaf pans 9 1/2″ x 4 1/2″. Bake in a moderate 350-F oven for one hour. Serve with Tomato Sauce. Add bay leaf, celery leaves and minced onion to tomatoes; simmer 10 minutes; strain. Melt butter or margarine in saucepan; stir in flour and seasonings. Add tomatoes gradually. Cook stirring constantly until mixture thickens, reduce heat and cook 10 minutes, allow about 2 tablespoon sauce per serving.